At least you should be. We must love ourselves before we can show kindness and care to others. 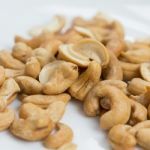 Cashews have calcium, A and other nutriments. You may like pecans, ummm-good. Many varieties of these legumes are there for you choosing. Eat right-Eat light. Copyright © 2014 – 2018 Lisa Rubino.